Today, I went to see the newest Disney film, Moana. I have been looking forward to it and was not disappointed. Moana is a Polynesian girl who is the daughter of a chief. Although the island where Moana lives is fictional, her story draws on the cultural heritage of various Polynesian islands. I don’t want to give away the story, but it resonated with me. Both of my daughters have lived in Hawai’i and respect the native cultural traditions. Daughter T, with whom I saw the film, is especially close to the plants of the islands and was happy to see many she recognized. I could relate to the epic voyage of the heroic wayfarer and the special relationship between a wise grandmother and her questioning granddaughter. I appreciated the feminine energy and the ethic of care of and for the community. The animation was beautiful. I especially enjoyed the ocean, which is its own character in a way. There were also a lot of great moments involving hair, which is particularly difficult to render well in animation. As often happens, there is a bonus scene at the very end of the credits, so try to stay. 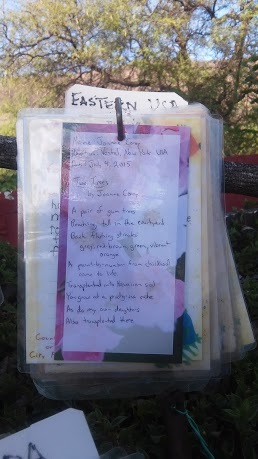 We would walk home through campus and pass by their poet-tree, which is a world community poetry project. Visitors are invited to write a poem and leave it in a jar. Then, the poems are sorted into geographic regions, sealed in plastic, and affixed to the poet-tree, which has pegs for different countries or regions. A paint-by-number from childhood come to life. I’m sorry, dear readers, for being absent for the past week. I flew home from Hawai’i Tuesday, arriving home on Wednesday afternoon without having slept. Since then I have been in a bit of a fog. OK – more than a bit. I am notoriously bad at changing time zones. It takes me about a week twice a year when we go on and off daylight savings time to adjust my sleep schedule, so the six-hour time change from Hawai’i Standard to Eastern Daylight Time has been a struggle. I am alternating between nights where I get little to no sleep and ones where I am so exhausted that I sleep eight or nine hours. I have been trying to catch up on the most important things that I missed being away from home for five weeks, such as visiting the elders and our younger daughter and some re-scheduled appointments, but I haven’t had much brain power to put together posts. LOL – Not that this post is that profound! I had been trying to keep up on reading and commenting, but even that fell apart over the weekend. 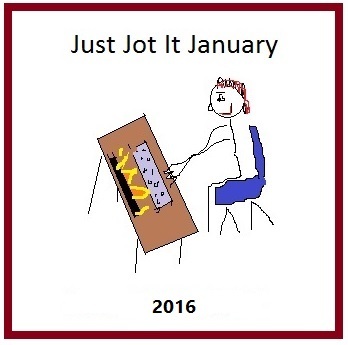 I’ll be trying to catch up with that – and sorting through the 800+ email messages in my inbox – this week. 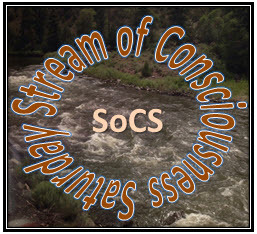 SoCS: Is it really almost over? I have been AWOL from One-Liner Wednesday and Stream of Consciousness Saturday for the last several weeks as I have been visiting my daughter in Honolulu. Her husband has been away doing research for his PhD dissertation in London, as well as visiting his family there. My husband came out with me for the first two weeks, during which time we stayed in a hotel. Then, he had to return to go on a business trip. I moved to my daughter’s apartment and have been staying with her for almost three weeks. I fly out on Tuesday, but I’m having trouble wrapping my head around it. Just a few more days and I’ll be back – and six-hours-of-time-change jet-lagged – in upstate New York. Back to the stuff that is filling up my calendar back home – appointments and meetings – and the catching up on mail and errands and visits. I’m not sure I’m ready – but it is what it is. 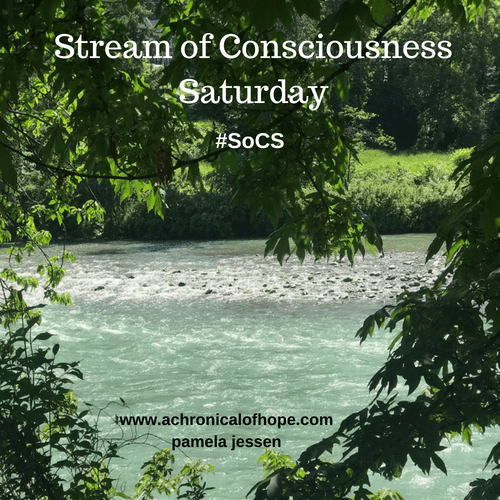 Author Joanne CoreyPosted on July 4, 2015 July 4, 2015 Categories family, Stream of Consciousness Saturday, travelTags Hawaii, Honolulu, Kaimuki, SoCS, vacation, visting4 Comments on SoCS: Is it really almost over? Yesterday, E started a four-day holiday weekend, so we decided to go on an excursion to avoid the crowds that are sure to be huge over the holiday. We started with breakfast at Town, one of our favorite neighborhood restaurants. E had polenta, greens, and egg and I had baked French toast. Fortified, we set out on the H1 for the leeward (west) side of O’ahu. I had never been to that side but E and L had a short honeymoon getaway there and sometimes go there to visit the beaches. As I have mentioned, driving in Hawai’i is an adventure for me, but we made it through the day safely, despite some slowdowns. The weirdest thing on the road was passing my former rental car. Earlier this week, some warning lights came on in the Honda Fit, so it got swapped for a Toyota Corolla. E spotted the license plate of the Fit as I passed it on the highway. I’d say small world, but small island is more applicable in this case. As we got away from Honolulu and its suburbs, we drove through terrain that reminded me of part of the Big Island – red soils, exposed rock, sparse and dry vegetation. In Hawai’i, the leeward sides of the islands tend to be dry. It’s common to see cactus and other plants that don’t need much water. The higher elevations as you go inland tend to be wet, some with annual rainfall of 400 inches (1,000 cm) or more. The highest peaks in the younger islands even get snowfall during the winter. We parked close to the series of lagoons and beaches that the hotels that populate the leeward coast in Ko Olina had built. We walked along the path behind the lagoons, enjoying the breeze and the views. Then, we went to get a smoothie and an acai bowl for lunch to cool off. We headed back to E’s apartment before the traffic got too bad and to make sure we were here for our dinner reservation. The executive chef/owner of Town has recently opened a new restaurant kitty corner across the intersection from Town. It is named Mud Hen Water, which is the literal translation of Waialae, the avenue on which it is located. * a beet salad, which was prepared similarly to poke. E was happy because she wanted me to experience poke style, but I don’t eat raw fish, so doing it with beets, which I love, was a great alternative. Everything was super delicious! We will have to go again the next time we visit. I’m sure we’ll go to Town also. We love to support the local businesses of Kaimuki!